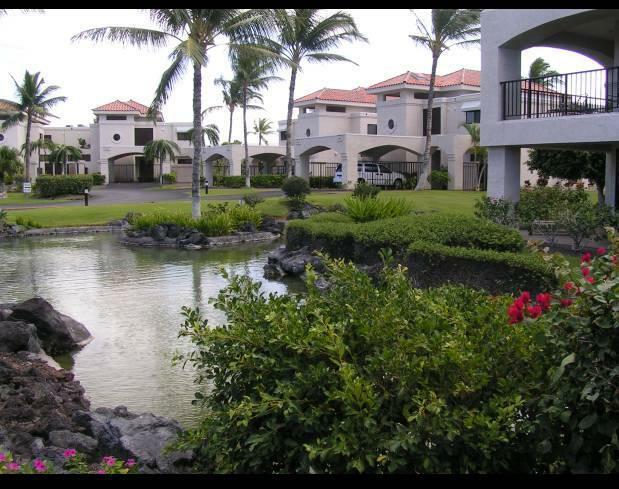 The Bay Club Resale Hawaii is the official timeshare resale office for the Bay Club Resort in Waikoloa Beach. Please contact one of our friendly agents who would be happy to show you around the Resort. We offer the best prices available on all units types. Now is a time to own your slice of Paradise!!! The Bay Club offers you beautiful spacious rooms in rich tropical decor. Our units are a welcome home away from home (see our floor plans). Each unit has a lanai that ranges from over 300 – 600 sq. ft. and are all equipped with wet bars. The grounds are covered with lush tropical landscaping with access to three pools and numerous Jacuzzi spas. Enjoy a well equipped work out facility with classes for pilates, yoga and more arranged by our very own activities director. The Kohala Coast is well known for its beautiful sandy beaches and perfect weather year round. The Bay Club is a well established part of Waikoloa Beach Drive and the Kohala Coast. It is an affiliate resort of The Hilton Grand Vacation Club and is also managed by HGVC. Nestled conveniently close (walking distance) to Anaeho’omalu Bay or “A Bay” a great beach where you can enjoy sunset boat cruises, snorkeling, whale watching and other water activities and equipment rentals from Red Sail and Ocean Sports. Golf Play on two designer 18 hole courses just walking distance from the Bay Club. Owners will receive discounted owners’ rates! Shopping The Kings Shops have been a source of amazing shopping and ono grinds (good food)! And across from the Kings Shops is The Queens Market Place. It is here that some delightful shops and restaurants are planned including an outdoor amphitheater. Just a short drive away is The Shops at Mauna Lani where you will find many specialty items from the islands and great new designers in the clothing shops. One of the favorites in Waikoloa is the new Tommy Bahama retail store and island style restaurant. The fine quality of clothing and food are difficult to match. Dining Many restaurants are located within walking distance of The Bay Club or just a short drive. Look for our Dining Book located at the main pool and just outside The Bay Club Resale office. Beaches The Kohala Coast has the finest stretch of beaches on The Big Island including the point at Mauna Lani, Mauna Kea Beach, Hapuna Beach State Park, Wailea Bay (at the 69 mile marker), A Bay (mentioned above), Koholo Bay and Kua Bay...to name a few! We look forward to bringing you a slice of paradise!